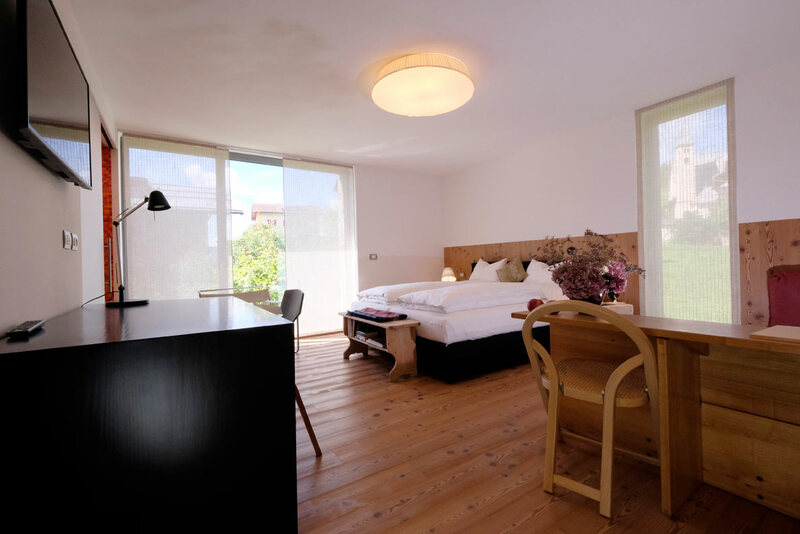 The room has a southern-western exposure on the valley and on the small church of Tamion. 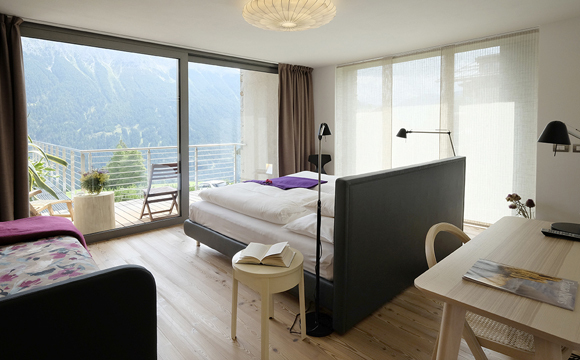 It is elegantly furnished, the floor is in larch and a wall is paneled in stone pine . 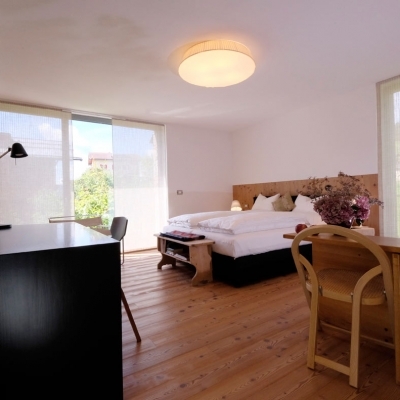 There is a double bed, a comfortable sofa bed, a desk, a wall TV set and an open wardrobe in wood. 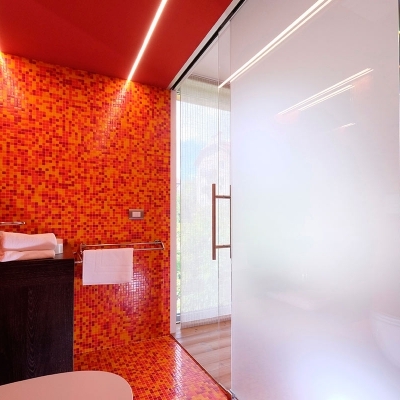 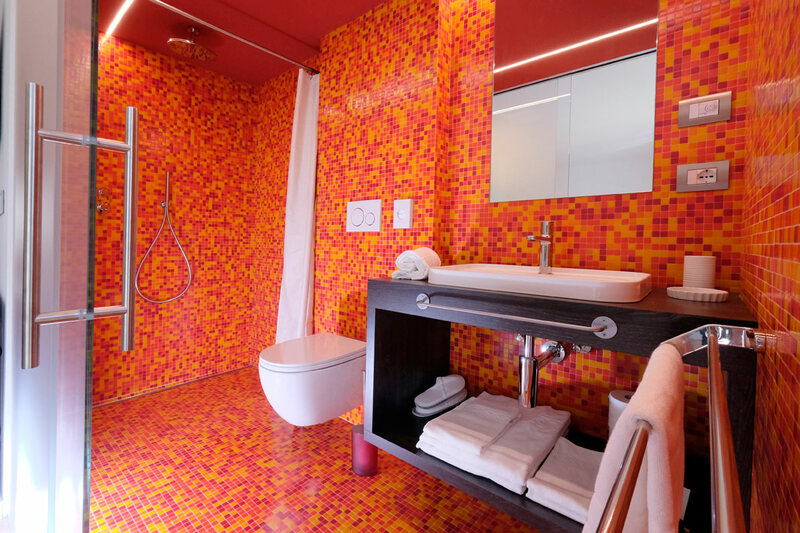 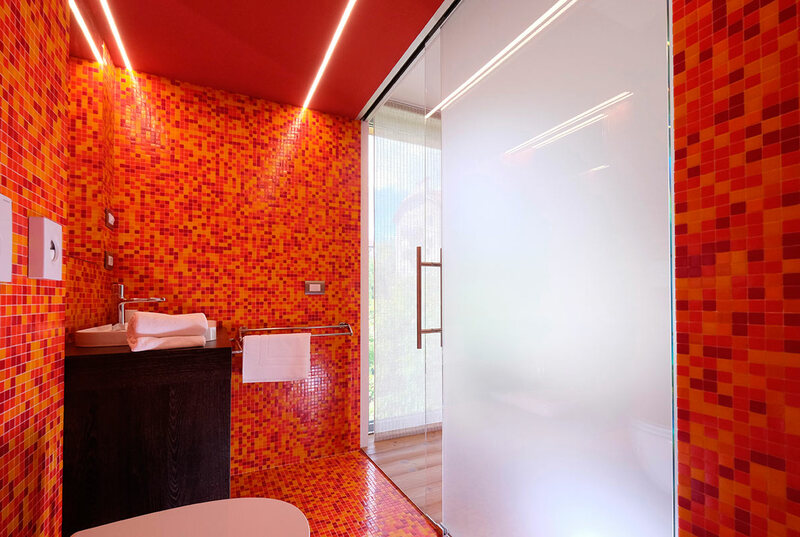 The mosaic bathroom is in a range of reds and yellows with a basin, a toilet and a big shower. 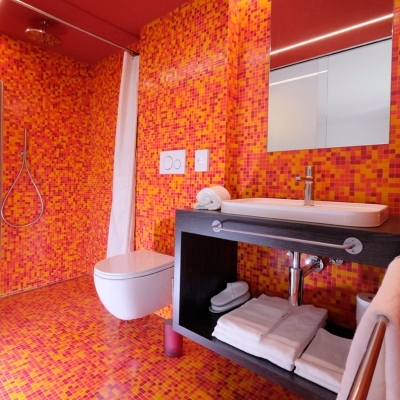 This room can be joined to room MALVA.